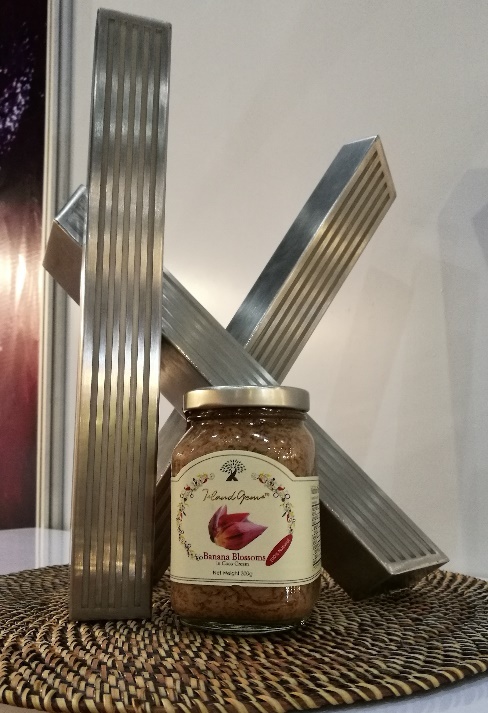 The 11th edition of the International Food Exhibition (IFEX) Philippines, through the 2017 Katha Awards for Food, once again pays homage to newly developed Philippine food products and applications yesterday at the World Trade Center Metro Manila (WTCMM) and Philippine Trade Training Center (PTTC). The awards aim to strengthen the reputation of the Philippines as a go-to destination for globally competitive Asian food and ingredients by recognizing companies that explore new galleries of flavors, original brand ideas, unique food fusions, and creative packaging methods. The competition is open to all Philippine-based food manufacturers and suppliers participating in IFEX Philippines 2017. The winners are hailed from six different product categories: Food Ingredients, Marine and Meat Products, Snack Foods, Beverages, Processed Fruits and Vegetables, and Confectionery and Biscuits and Pastry. The company with the most creative booth exhibition is also recognized. Katha Awards for Food was judged by SM Supermarket Senior Vice President for Marketing Millie Dizon, ZOMATO Philippines Country Manager Anton Ojeda, Philippines Airlines Manager for Food Planning and Standards Division Maria Criselda Abantao Rayos, and Food Packaging and Labeling Expert Abner Villahermosa. They chose the winners according to Market Demand, 25%; Packaging Design and Innovation, 35% and; Product Innovation, 40%. 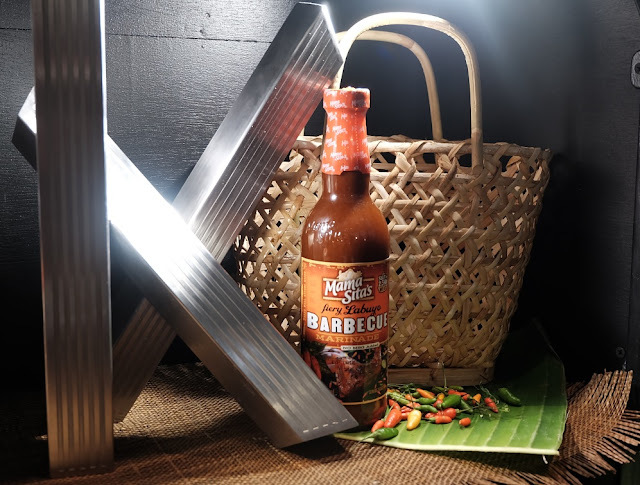 Instilling innovation while keeping its century-old culinary tradition, Mama Sita’s has newly concocted to perfection the Fiery Labuyo Barbeque Marinade for lovers of spicy food fusions. Bold and fiery, the native labuyo chili pepper offers a truly unforgettable barbeque experience without the monosodium glutamate (MSG) and other preservatives. 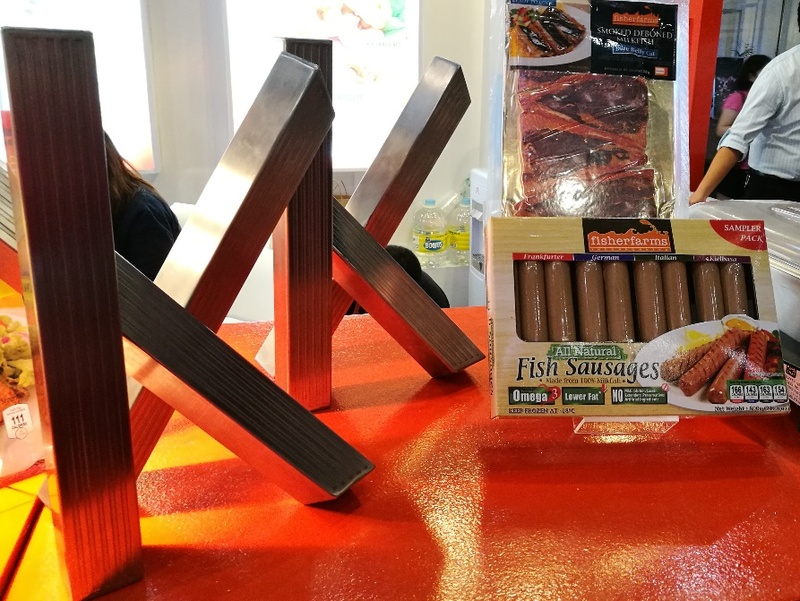 Marine and Meat Products: FISH SAUSAGES of Fisherfarms, Inc.
Fisher Farms All Natural Fish Sausages are free from artificial ingredients and chemical preservatives. Made from 100% fish meat, they provide around 10% of the recommended daily allowance of protein, contain Omega-3, and have 0 trans fats. Free from gluten, casein, nitrites, and MSG, Fisher Farms All Natural Fish Sausages are perfect for health-conscious gourmets and sausage aficionados. Imagine a completely guilt-free, vegan chip that combines the taste of tangy sour cream with freshly cut chives! 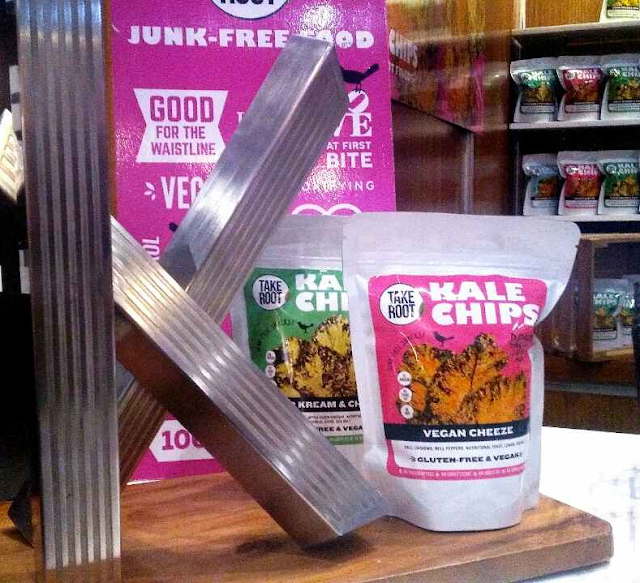 Take Root Food Corner’s Kale Chips is made with all-natural and organic ingredients. No oil, dairy, sugar or any preservatives. Made from nutritionally dense leafy greens available, these addicting kale chips are never baked or friend, but dried at low temperatures to preserve its essential nutrients and enzymes. Turmeric comes from the root of Cucuma longa plant. 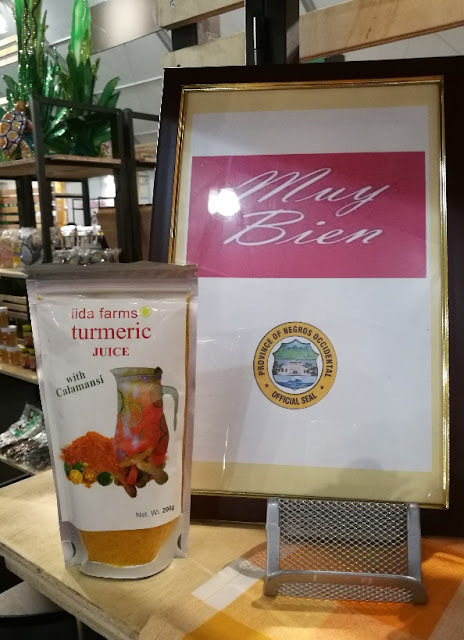 Called in the Philippines as "Luyang Dilaw," turmeric has a tough brown skin and deep orange flesh. Curcumin, the main active ingredient in turmeric, has a powerful anti-inflammatory effect and a very strong antioxidant. Processed Fruits and Vegetable: PUSO NG SAGING of KAPFER AND RIVERA UNITED INC.
Also known as “Ginataang Puso ng Saging,” this ready-to-eat Philippine dish satisfies the cravings for a heartyand savory meal—perfectly served on a hot cup of rice or as an appetizer paired with toasted bread and melted cheese on top. Puso ng Saging is high in fiber and rich in taste, while completely being pork and chicken free. Confectionery, Biscuits and Pastry: 85% NATULE CHOCOLATE DARK of MALAGOS AGRI-VENTURES CORP. 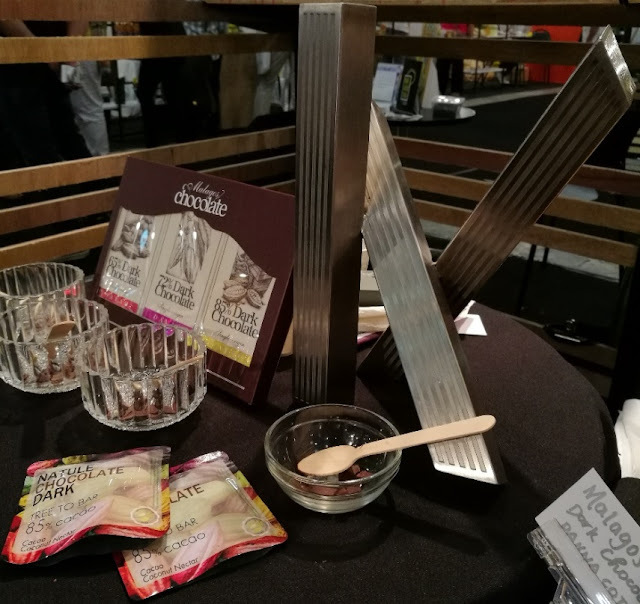 Developed to cater the taste of the high-standard Japanese market, the 85% Natule Chocolate Dark is an all-organic treat lets you experience the true essence of cacao, enriched with the subtle sweet aroma of coconut nectar. The product was made under Malagos Chocolate’s single-origin chocolate production or what they call the “tree to bar” process, which involves the planting, harvesting, fermenting, solar drying, roasting, and processing of the cacao beans into fine-flavored chocolates. As a pioneer in aquaculture products processing, Fisherfarms, Inc. stages this year’s IFEX Philippines with a bright and modern scenography, highlighting the interesting insights on the Philippines’ seafood products, as well conducting on-site cooking and food sampling activities. Fisher Farms, Inc, has one of the country’s widest range of premium quality fresh, frozen, value-added, and completely processed seafood products to clientele and institutions such as supermarkets, groceries, fast food chains, restaurants, distributors, and hotels all over the world. 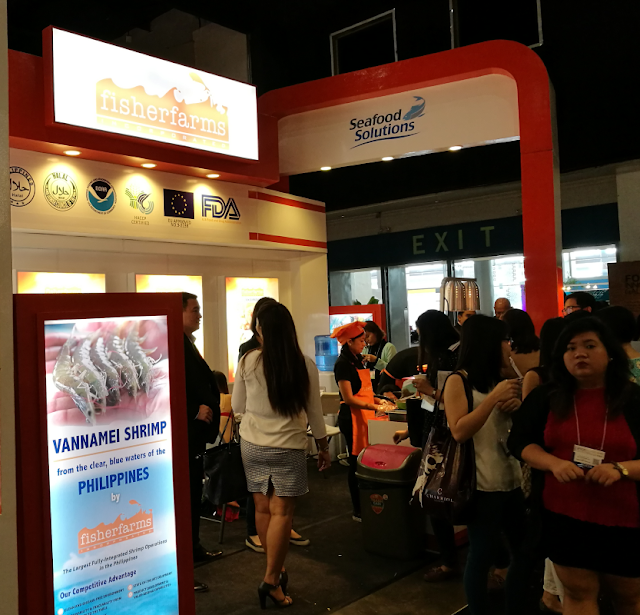 The Philippine seafood innovator is currently present in key markets such as USA, Canada, Middle East, Asia, Africa, Australia, and Europe. Cover Photo caption: DTI-CITEM Executive Director Clayton Tugonon (leftmost) and DTI Undersecretary Nora K. Terrado (rightmost) introduces the winners of the 2017 Katha Awards for Food at IFEX Philippines.